Volvo CEO Stefan Jacoby: "Building a plant ourselves is maybe more unlikely. I'm looking for a partner that could help us utilize a North American plant." MONTE CARLO (Bloomberg) -- Volvo, the Swedish automaker owned by Chinese manufacturer Zhejiang Geely Holding Group Co., is seeking a partner to build vehicles in North America. "In the medium term, five to six years, we need to find a proper solution in North America," Volvo CEO Stefan Jacoby said in an interview on Thursday. "Building a plant ourselves is maybe more unlikely. I'm looking for a partner that could help us utilize a North American plant." The carmaker is talking to a "couple" of manufacturers, Jacoby said, declining to name the potential partners. Cooperation would ideally be with any carmaker that Volvo agrees to work with on sharing development costs on smaller cars, Jacoby said in the interview at the Automotive News Europe Congress in Monte Carlo. 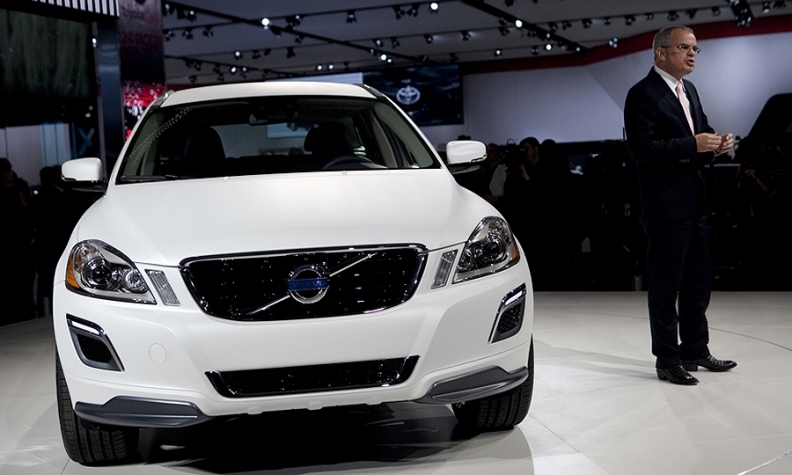 Volvo has been considering an assembly plant in North America to hedge against its heavy dependence on the euro. In the past, Jacoby has said the automaker would consider a partner for the project, ideally located in the United States or Mexico. Volvo, which Zhejiang Geely bought from Ford in August 2010 for $1.8 billion, has a target of almost doubling sales to 800,000 cars and sport-utility vehicles by 2020 from 449,255 deliveries in 2011. It plans to invest about $11 billion over the next several years, including construction of two car factories and an engine plant in China. Volvo is "open to everybody" as a partner, including Fiat, Jacoby said. The Italy-based carmaker is already active in the United States through the takeover of Chrysler Group that's part of Fiat CEO Sergio Marchionne's growth strategy. "Fiat is obviously one of the alternatives," Jacoby said. "If you speak to Marchionne, just tell him to call me." Volvo is posting losses in the United States while it's profitable in Europe, said Jacoby, whom Zhejiang Geely recruited in 2010 from his job running the U.S. business of German carmaker Volkswagen. The executive reaffirmed Volvo's plans to build a low-cost vehicle in China that the Swedish company will market jointly with local sister brand Geely Automobile Holdings Ltd. The model is likely to be a small SUV, he said. The construction of the plants in China, which is still awaiting final government approvals, is "on track," Jacoby said. The first factory, in Chengdu, is set to start producing cars in the second half of 2013, he said.